He is the most famous Argentine writer. His work, complex and brilliant, is known all over the world. 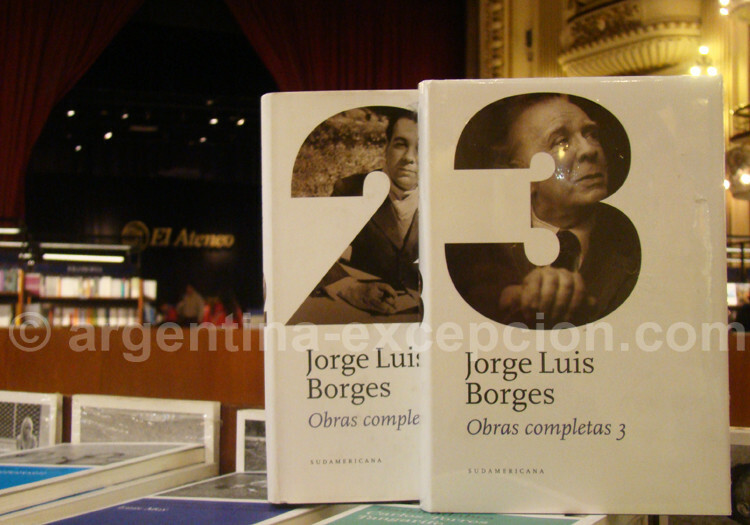 He was born in Buenos Aires in a cultivated family where they spoke Spanish as well as English, Jorge Luis Borges started to write at the age of 7; the beginning of a long carreer that would turn him into a literary monument. After the First World War his family settled down in Genève and then, in Spain. When in 1921 he came back to his home city, he published poems, essays, short re-telling; he founded magazines, translated Virginia Woolf, and even took part in cultural movement in an expanding Argentina. 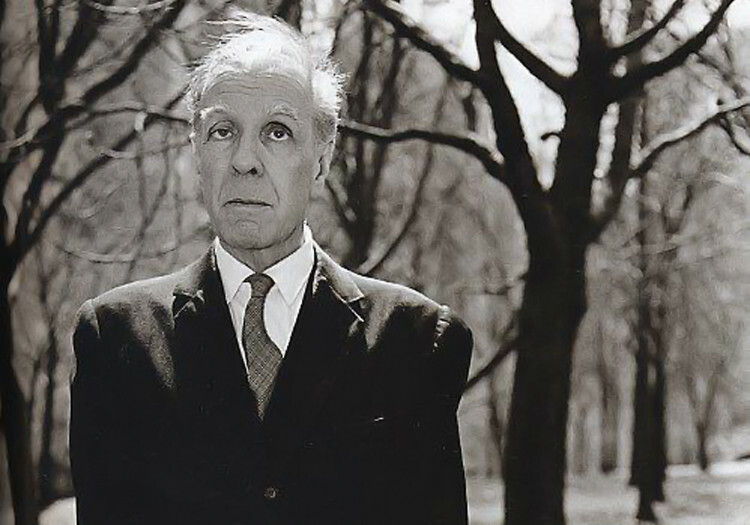 Borges was neat but did a bit of everything, he wrote literary critics, police reports, tango lyrics than would then be musicalized by Astor Piazzolla, and thought Literature. He was a steady opponent of general Perón: “the unnameable”. The same as his father, he suffered an illness that left him blind in 1955 but that didn’t prevent him from either doing his business as Director of the National Library or writing. As from the 1960s he was internationally recognized as one of the best writers of the times and as one of the founders of the magical realism together with Colombian Gabriel García Márquez. Borges was a great traveler and erudite, and was interested in issues such as labyrinths, mirrors, identity, the infinite and the time which he dealt with in El libro de arena (The sand book), El reloj de arena (The sand watch) or Ajedrez (Chess). In Ficciones (Fictions) he wrote: “The present is indefinite, the future has no reality but as a present hope, the past has no reality but as a present remembrance”, one of the most important compilations of fantastic novels together with El Aleph. He started his literary adventures, such as writing police stories together with another Argentine writer: Adolfo Bioy Casares. 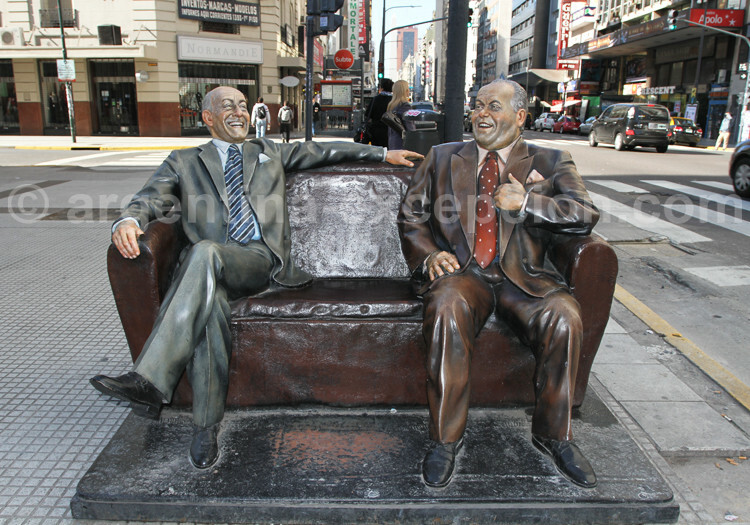 Together they invented the character Bustos Domecq. 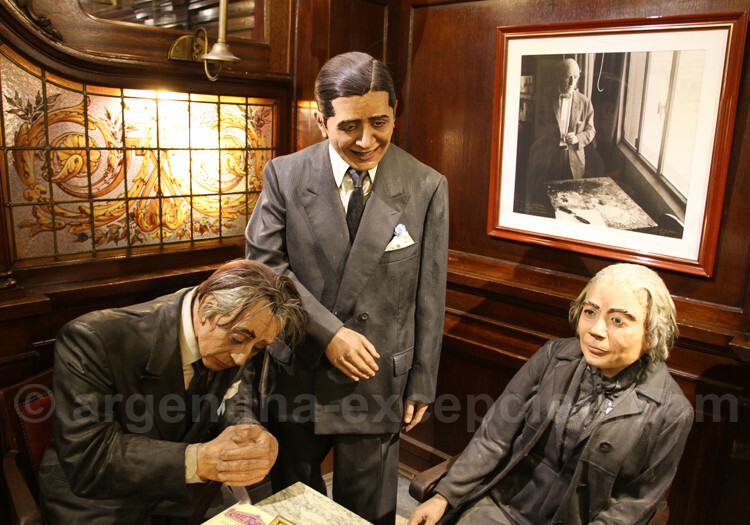 In 1980, he was awarded the Cervantes Award, the highest prize of the Spanish Academy. Jorge Luis Borges died in Genève in 1986. Antigua de cedrones y jazmines. Su larga recta al declinar el día. Suerte, esas cosas que la muerta apaga.